Profiting from new breeding techniques - BCPC British Crop Production Council : BCPC British Crop Production Council . 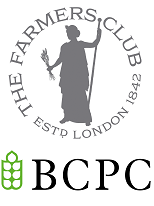 The latest Technical Seminar, organised jointly by BCPC and The Farmers Club will take place 11 July 2019. Whatever the final ramifications of Brexit for UK agriculture and its markets at home and abroad, farmers’ ability to remain viable will depend on finding ways to adapt to change. Fortunately, unlike most present day politicians, our farming industry has a long-term vision. It also has a resolve to remain profitable and competitive based on best practice and being at the forefront of new technology. There’s no better example of that than the rapid advances made by the crop biotechnology sector which has the potential to offer huge benefits to UK farmers, the economy and the environment. This technical seminar, the third in a series to be organised by the Farmers Club and the British Crop Production Council, two independent organisations, explains the science, benefits, drawbacks and regulatory issues surrounding new breeding technology.